cubasantaclara.com | Santa Clara Cuba | Santa Clara Hotels, City travel guide, attractions, Cuba car rental, Cuba Santa Clara things to do, restaurants, photos, videos, nightlife, casa particulars, much more. Santa Clara is home to a mausoleum in which the remains of Che Guevara and six of his fellow combatants are located. The complete area features a 6.7 meter (22 foot) bronze statue of Che and is referred to locally as the Ernesto Guevara Sculptural Complex. Che Guevara was buried with full military honors on 17 October 1997 after his exhumed remains were discovered in Bolivia and returned to the land in which he remains a national hero of almost cult status. At the mausoleum, there is an interesting museum dedicated to Che Guevara’s entire life featuring an eternal flame lit by Fidel Castro in Che’s memory. Santa Clara was the natural choice for mausoleum as it is the site of the final battle in which Guevara’s troops triumphantly took this last city on December 31, 1958 in what is known as the Battle of Santa Clara. This final battle is beheld by the Cuban Revolution as the turning point in the countries future when the dictator Fulgencio Batista fled into exile. Nearby, in another part of the city, a Fulgencio Batista military supply train which was derailed by Guevara’s men during the battle remains in its original location, serving as reconstruction of Guevara’s heroic exploits. In addition to the remains of Che Guevara the six other Cuban guerrillas are; Carlos Coello, Alberto Fernandez Montes de Oca, Orlando Pantoja Tamayo, René Martínez Tamayo, Juan Pablo Navarro-Lévano Chang, Simeon Cuba Sarabia. All lost their lives in the 1966-1967 Bolivian Insurgency and are also entombed in the mausoleum. It is estimated that over 5 million people from over 100 countries have visited the memorial since 1997. The province of Villa Clara covers a land area of 8,413.13 km2 (3,248.33 sq mi) and an immense stretch of Cuba’s popular northern coast incorporating the exotic Jardines del Rey islands of Cayo Las Brujas, Cayo Ensenachos and Cayo Santa Maria. Villa Clara is situated in the central region of the island flanking with the Atlantic Ocean at the north, Matanzas Province to the west, Sancti Spiritus Province to the east, and Cienfuegos Province on the South. With a population of approximately 860,000 the province is one of Cuba’s largest income per capita regions and an important center for both Beach Resort and Ecological Tourism. Villa Clara shares along with Cienfuegos and Sancti Spiritus to the south the Escambray Mountain Range. Its main cities are the capital city of Santa Clara, Remedios, Sagua La Grande, Camajuani, Caibarien, Ranchuelo, Placetas, and Manicaragua. Highlights of the province are the city of Remedios, historic center of Cuban history and the base of Cuba’s most popular festival held in December each year and Santa Clara’s Che Mausoleum. Outside from the famous beach resorts, Villa Clara also has an impressive ecotourism infrastructure. The people of Villa Clara are some of Cuba’s fastest adopters of the nascent self employment or “cuenta propista” sector, with Remedios being an often mentioned national model, featuring popular and well run Casa Particular Bed & Breakfast properties, together with private paladar restaurants on almost every corner offering good cheap quality meals at a tiny amount of the cost compared to Cuban government run restaurants. Parque del Carmen is a colonial era plaza hosting a small park centered by Saint Carmen’s Church, a colonial structure which originally also included the city’s first school. At the entrance, there is a gray marble monument surrounding a Tamarind tree indicating the foundation of Santa Clara. Each pillar supporting the bar represents the 7 families who moved to the site in 1689 from the town of Remedios near the north coast. Next to the city’s historical foundation site is another monument which honors Captain Roberto Rodriguez, alias “El Vaquerito” or little cowboy who was a young soldier who died in the Battle of Santa Clara. It is said that when revolutionary leader Che Guevara learned of his death he proclaimed “Today it is like I have lost 300 men”. A true visual delight in Santa Clara city center is the fully functioning Marta Abreu Train Station. Operated by the Cuban state company Ferrocarriles de Cuba (FFCC) it is located in front of Parque de los Mártires. 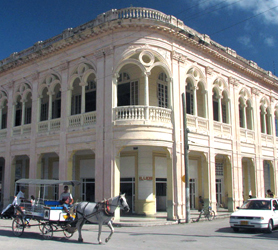 Due to its geographically central location in Cuba, it is one of the most important railway stations on the island and, along with Havana Central Station, Santiago and Camaguey it is the rail network’s main divisional headquarter. Inaugurated in 1860 as part of the Cienfuegos-Villa Clara railroad service it was initially named Paradero Villa Clara. The rickety old station building which incorporated a large wooden structure burned to the ground in 1895. The current station built on the exact same spot was rebuilt by Marta Abreu so the city hall decided to rename that building after her. This second building, a beautiful Colonial structure with brick walls and red tiled roof was once again remodeled in 1925. The Santa Clara train station has a large one-floor building featuring period Spanish Colonial architecture. It features 6 rail tracks, number 6 being the terminal, and number 5 not being served by any platform. The main train shed is located just after the level crossing with a second shed at 100 m to the north, on the line to Camajuaní and the University. Close to the main depot and just side the line to Camagüey you’ll find the famous Tren Blindado (armored train) Che Guevara Memorial of the Battle of Santa Clara. All the lines serving the station, including the main one of Havana – Camaguey – Santiago de Cuba, are not electrified and have a single track. If you are traveling around Cuba by Train it’s a given you will visit the Marta Abreu Train Station. The station is served by numerous long-distance trains linking almost the whole island as the flagship Tren Francés or French Train Service covering Havana-Camagüey-Santiago. Other long-distance trains, principally departing/ending at Havana Central, link Santa Clara to Holguin, Guantanamo, Bayamo, Manzanillo, Matanzas, Ciego de Ávila, Las Tunas and other cities of Cuba. A perfect place to visit if you enjoy live music is Santa Clara’s Parque Vidal but, make sure you ask for the specific day because it varies (but it is weekly) when the City’s Philharmonic Band plays in the center of it, at the Glorieta (gazebo) which was erected in 1911 and is still serving for public concerts. Parque Vidal is a park located in the geographical center of Santa Clara, Cuba, and covers an entire square block of the city. A true delight, the entire adjoining elements are conformed by eclectic, neo classic and beautiful colonial buildings as well as numerous monuments erected during different historic periods. The Parque Vidal is so historic and important in Cuba that it was elevated to the category of National Monument in 1998. Santa Clara locals still call Parque Vidal by one of its old names of either Plaza Central or Plaza Mayor. In the center just off the Glorieta there is a standing bust honoring Leoncio Vidal, the hero who died fighting in this very location against Spanish forces, and for which the Park takes its name. The first monument ever erected in the park is an obelisk dedicated to the priest who migrated from the coastal town of Remedios with the other families who founded the city. Between these monuments, you’ll find the now iconic statue of “el niño de la bota” or Child with a boot. In the same way Havana is known by the statue of “La Giraldilla” as its city symbol, Santa Clara has her symbol which is the “el niño de la bota”. The impressive bronze statue depicts a boy with a boot in his hand from which a water fountain emerges. The original base of the statue was changed for a more contemporary red granite in the 1960s and it remained that way until the 1990s when, in an effort to recover the original design, the city rebuilt it in its original form. South of that statue we find another one: a 1924 bronze statue of Marta Abreu. She was a much loved resident of Santa Clara. The base of her statue is said to be a time capsule, since it has inside some papers, a magazine and other objects collected during the construction which have been left inside it for future generations. Bordering the park, you’ll see the tall Santa Clara Libre Hotel which was formerly the Santa Clara Hilton, considered by critics and the general population as an ugly modernist structure drowning the colonial flair of the city. Still, the Hotel building is rich in history. Interestingly, the walls of the hotel still show multiple machine gun bullet marks from the attack of the rebel forces led by Che Guevara and Camilo Cienfuegos during the 1959 Cuban Revolution. Santa Clara was officially founded on July 15, 1689 by just 175 people. Two large families represented 138 of the fledgling town’s population. These families had already been living in the area and, consequently, were already owners of land next to the new city. The remaining 37 came from 7 different families, a priest and a governor. All of this final group originated from the coastal city of “San Juan de los Remedios” and is made up from predominantly people who had fled Remedios due to the constant danger posed by the frequent visits of pirates. While most of the above group finally decided to stay, these 37 people traveled a little further south and, on June 1, 1689 they arrived at a hill where they rejoined the other two existing families. The legend has it that a mass was given under a supposed Tamarind fruit tree and the city was created. Still recognized today as the birthplace of the city, the place under the tree is known as “Loma Del Carmen” or Carmen’s Hill. Later generations built a church in a beautiful park which still exists and near the place featuring a monument commemorating the inaugural event which is now surrounded by a fourth generation of the Tamarind tree. At the start the townsfolk called the settlement Cayo Nuevo, then subsequent names used were; Dos Cayos, Villa Nueva de Santa Clara, Pueblo Nuevo de Antón Díaz, Villa Clara and lastly, the final name which stuck was of course today’s Santa Clara. Initial construction of the city began not far from Carmen’s Hill. Largely Spanish building standards were employed, guaranteeing a perfect square layout with a central plaza. Today this same square exists, being first called Plaza Mayor but is today known as Parque Vidal. The first buildings built were the Cabildo or City Town Hall and an unpretentious palm tree church. The church was enhanced in 1725 using brick, and stayed at the center of the Parque Vidal until August 22, 1923 when it was demolished in order to expand the plaza and build a new church close by. Back then, and even today, this decision, taken by the mayor remains highly criticized. The building, while not a jewel of architecture, was not entirely disagreeable to the eye. Has it remained; it would have certainly been example of the older colonial structures in the city. Resulting from this expropriation by the City Town Hall, a complaint was raised by religious figures and a total of 77 850.00 pesos were levied in fines to the Church, a considerable sum that would represent millions of dollars today. Soon after the city’s first structures were built, subsequent buildings were erected such as: a theater, a chamber of commerce, meeting clubs, public libraries and dance halls. The location of the city, almost in the very center of Cuba, makes it a perfect stopover city and a great communication link, east-west and north-south. This excellent location furthered the city’s slow but unstoppable growth. By the 19th century, Santa Clara was bigger and more populated than the rest of the towns in the area, including what was once the larger town of Remedios. As a necessary stop between Havana and the east of the country, the city gained the title of Las Villas, a name which many Cubans still use today when referring to the city. Posted in Santa Clara First Settlers	| Tags 19th Century Cuba, Church Santa Clara Cuba, Las Villas Santa Clara, Loma Del Carmen, Origins of Santa Clara Cuba, Parque Vidal, San Juan de los Remedios, When was Santa Clara Cuba Founded? One of Santa Clara’s most popular tourism venues has to be the Parque de los Mártires or the Park of the Martyrs. Located only a few blocks from Parque del Carmen, in front of Santa Clara railway station it is within walking distance of the historical center of the city. Built in triangular form, its center piece is a shortened column, the only one in rural Cuba, it was erected in honor of those fighters who lost their lives in the Cuban War of Independence. Some delightful historical 18th and 19th century buildings surround the park offering a charming backdrop for some photos. Right on the corner, visitors will also be able to visit the Railway Station, another nice piece of colonial architecture. The station was donated to the city by philanthropist Marta Abreu and remains a central focal point for city. Adjacent to the station you’ll find her colonial wooden family house that still stands. Another important building in the Parque de los Mártires is the art deco, former Spanish garrison which was transformed in a school after the Cuban Revolution. Its interior walls were considered the best example of The Vanguardist Movement Murals in all the country. Unlike most cities in Cuba, in Santa Clara the tradition of placing the statue of Cuban hero Jose Marti has not been respected and you’ll find his statue at the Martyrs Park instead of the main city park called Parque Vidal. Santa Clara certainly has a tumultuous past, being the site of the final decisive battle in the Cuban Revolution in late 1958. It was also the base for two guerrilla columns that attacked the city, one led by Cuba’s fallen hero Ernesto Che Guevara and the other led by General Camilo Cienfuegos. Prior to these recent events Santa Clara was a hotbed for corsairs and pirates with the adjoining city of Remedios being under constant attack. In fact the initial townsfolk who later formed the city of Santa Clara were families from Remedios fleeing these pirates. At the beginning this settlement was called Cayo Nuevo, then Dos Cayos, Villa Nueva de Santa Clara, Pueblo Nuevo de Antón Díaz, Villa Clara and finally Santa Clara. Yes, the city had no less then 5 previous names before settling with Santa Clara. The Santa Clara Libre is a popular and well reviewed hotel directly on Parque Vidal built in 1950s modernist style 10-stories; mint-green high-rise is perfectly located at the main city center square, Parque Vidal and flanked by La Caridad Theater, the Museum of Decorative Arts and the José Marti library all right in the center of Santa Clara. The restaurant, located on the top floor, offers delicious Cuban dishes and a beautiful view of the city. An hour’s drive to the north will take you to Remedios, a typical provincial town, famous for its Christmas Parrandas. Commandant Ernesto Che Guevara Memorial Mausoleum Complex is located a short distance from the hotel. When night falls, guests can head to the disco, which is very popular among Santa Clara residents, El Mejunje, or La Caridad Theater. The last two will bring you into contact with the city’s cultural life. Our booking process is unique because it shows the best rate from all of these for Santa Clara Libre hotel in Santa Clara Cuba and the types of rooms available. 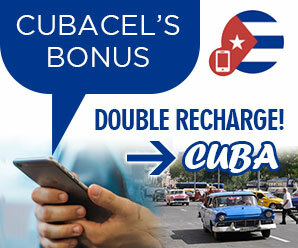 Our Santa Clara Libre Santa Clara Cuba rate comparison is an industry first for Cuban Hotels. Once you’ve compared the rates, finalizing the booking at Santa Clara Libre Hotel takes just seconds and an immediate confirmation is provided in real-time. Hotel America Santa Clara is located in the very center of the Santa Clara City and just next to the Leoncio Vidal Park and Cuban monument. Facing one of the most beautiful parks in Cuba, Hotel America is surrounded by buildings of outstanding architectural prominence, along with more modern ones. Outstanding buildings near the Hotel America by Cubanacan are the La Caridad Theater, the Jose Marti Library and the Hotel Santa Clara Libre, amongst others; all lend an inimitable beauty to the city. Hotel America Santa Clara is by the main central plaza square, where the municipal music band plays during the evenings. Guests staying at the Hotel America in Santa Clara can also admire the “El Niño de la Bota Infortunada” fountain nearby the bust of the benefactor of the city, Marta Abreu de Estevez. Hotel America Santa Clara is near the park which is full of rich history such as the place where Mambi Colonel Leoncio Vidal died fighting against the Spanish in 1896. Ernesto “Che” Guevara is also a prominent figure of the city. Cubanacan Hotel America Santa Clara is perfect for those wishing to have a central base in order to visit and stroll around this amazing Cuban city. Our booking process is unique because it shows the best rate from all of these for America hotel in Santa Clara Cuba and the types of rooms available. Our America Santa Clara Cuba rate comparison is an industry first for Cuban Hotels. Once you’ve compared the rates, finalizing the booking at America Hotel takes just seconds and an immediate confirmation is provided in real-time. Santa Clara Travel – Live Help?